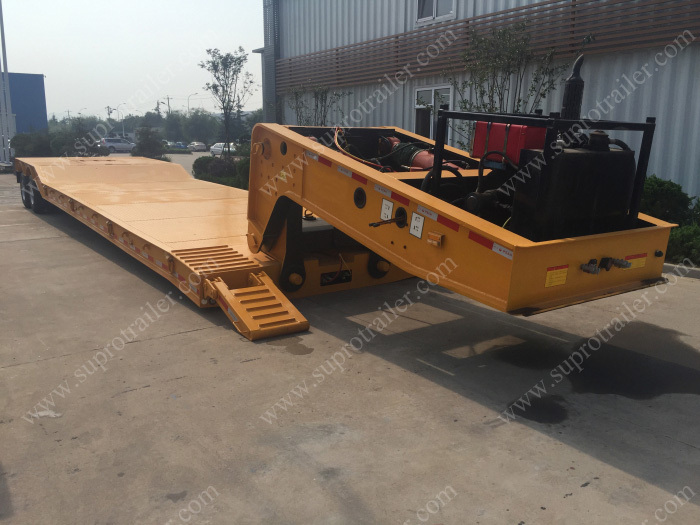 Supro Trailer produce "Low bed trailer" and "Flatbed trailer". 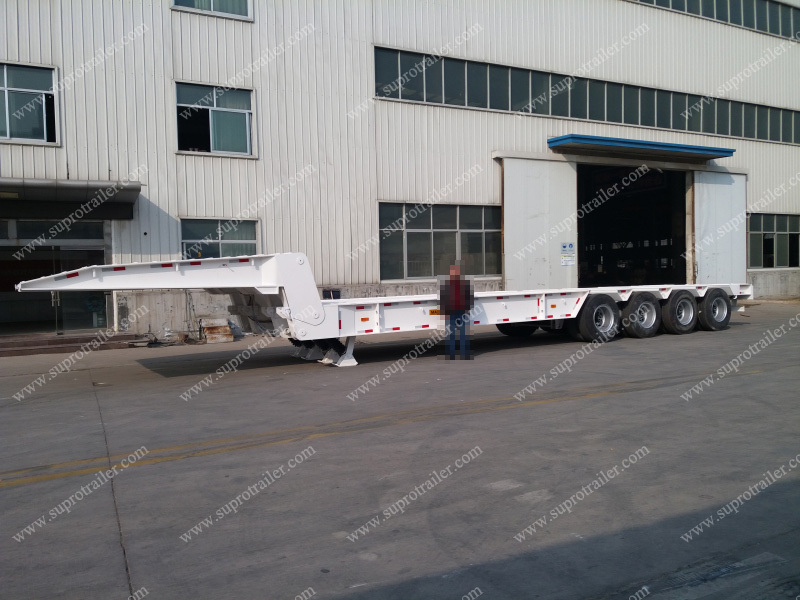 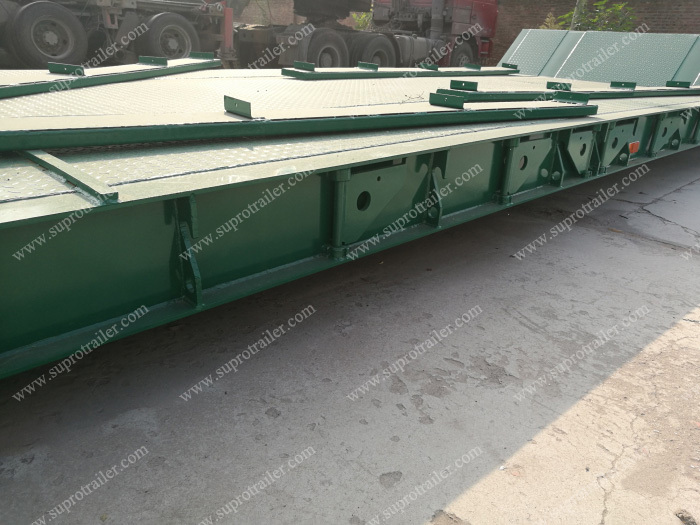 Also we produce the Hydraulic gooseneck trailer of the low bed trailer which includes Detachable Gooseneck Trailer and Folding Gooseneck Trailer. 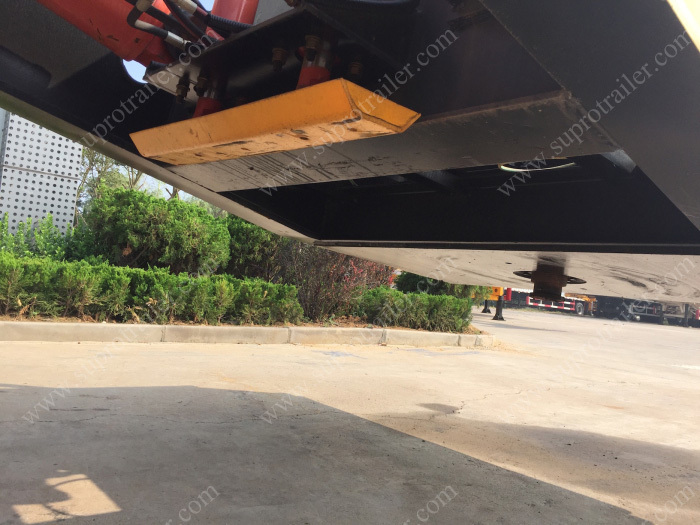 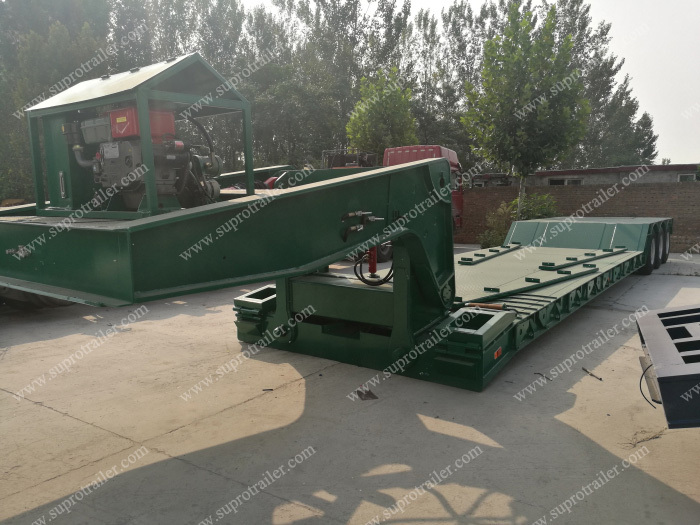 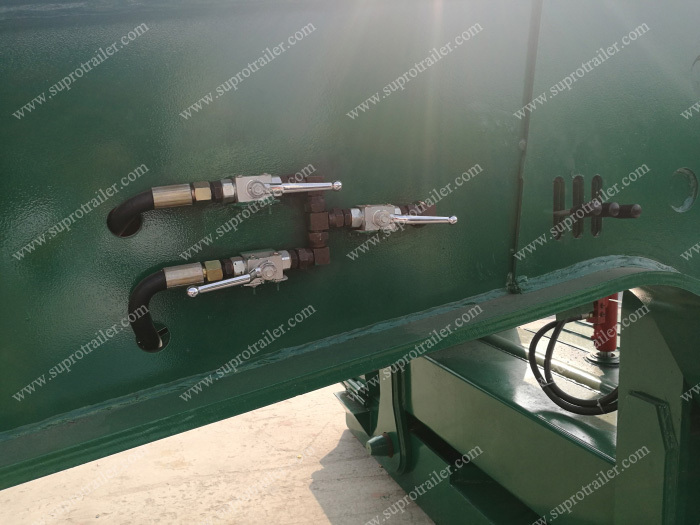 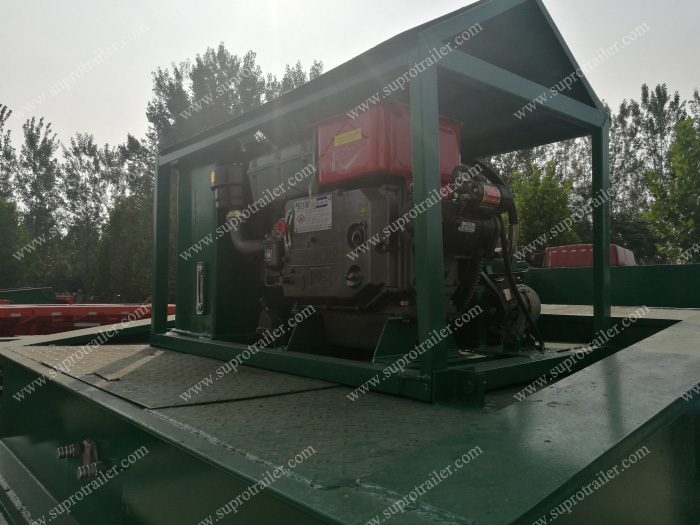 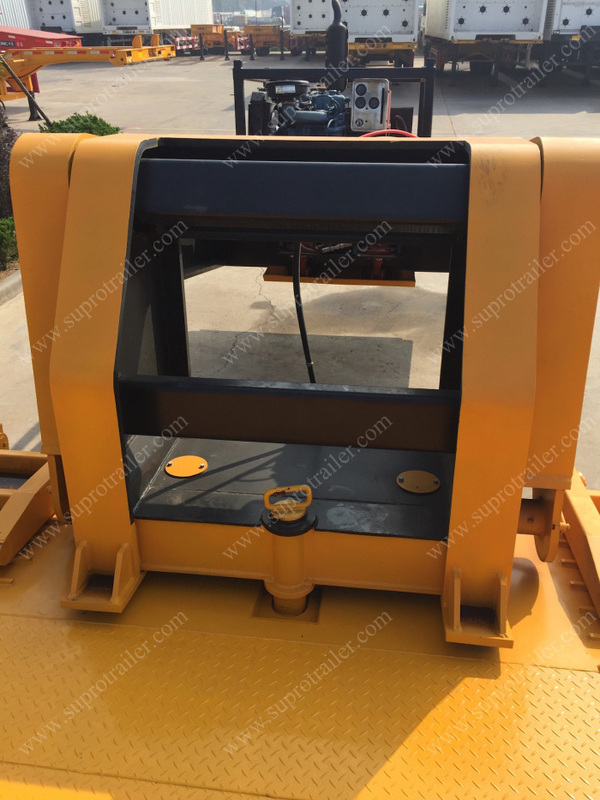 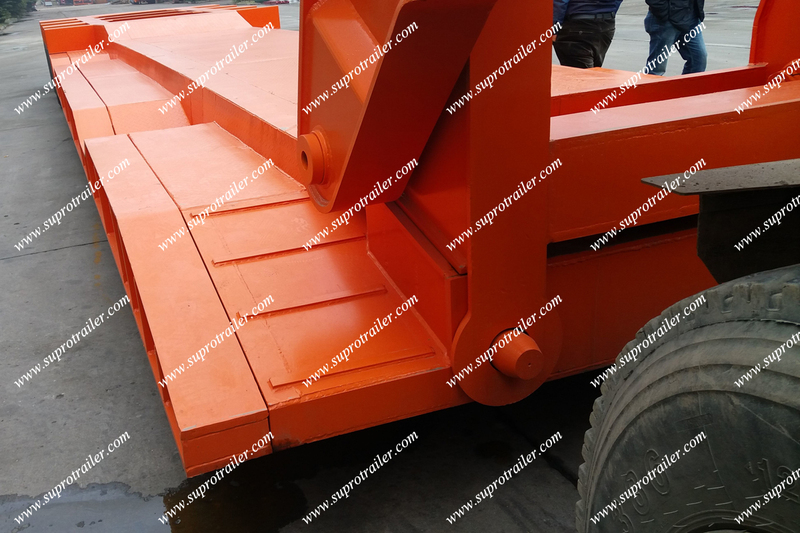 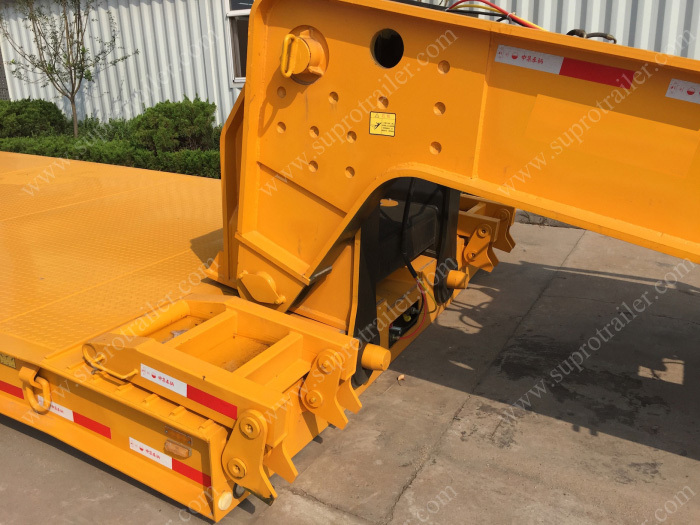 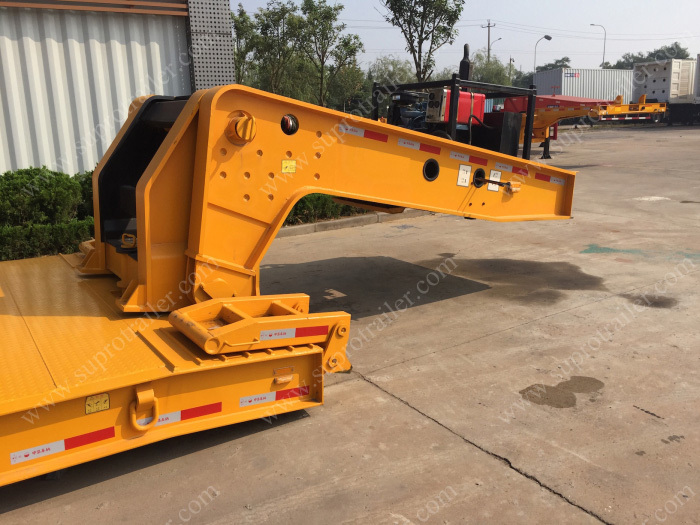 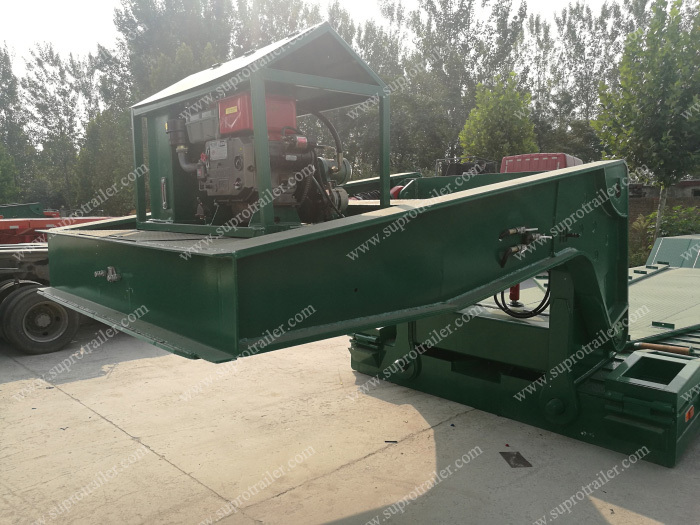 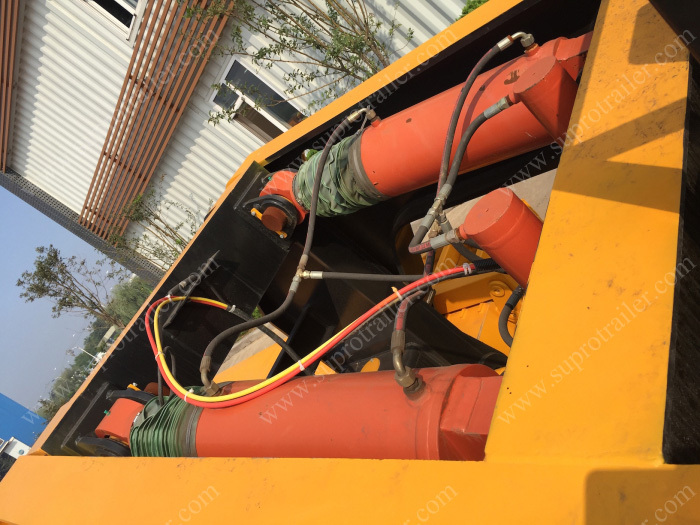 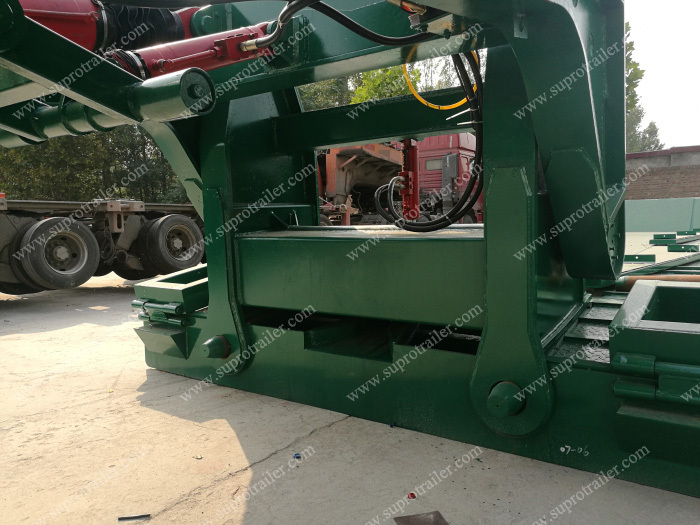 The adavantage of the hydraulic goosneck trailer that is the trailer could meet small slope climbing demands of the machinery. 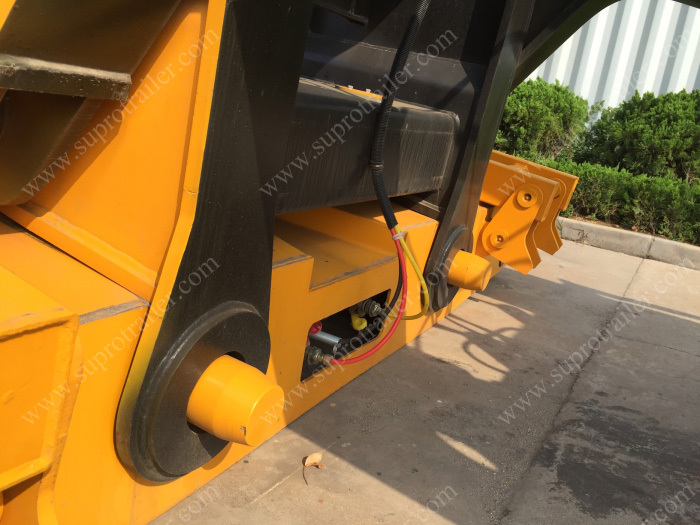 The hydraulic goosneck is independent with the low bed trailer, so it is removable. 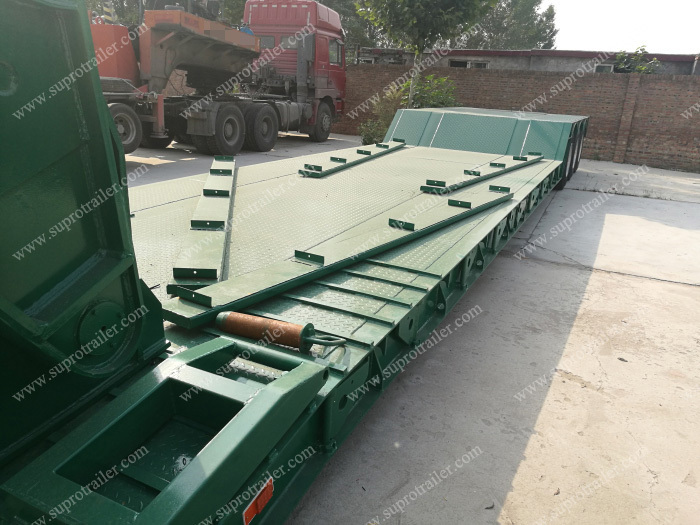 The front part of the platform has two small ladders, and the machinery could run forward to the low bed trailer by the small ladders. 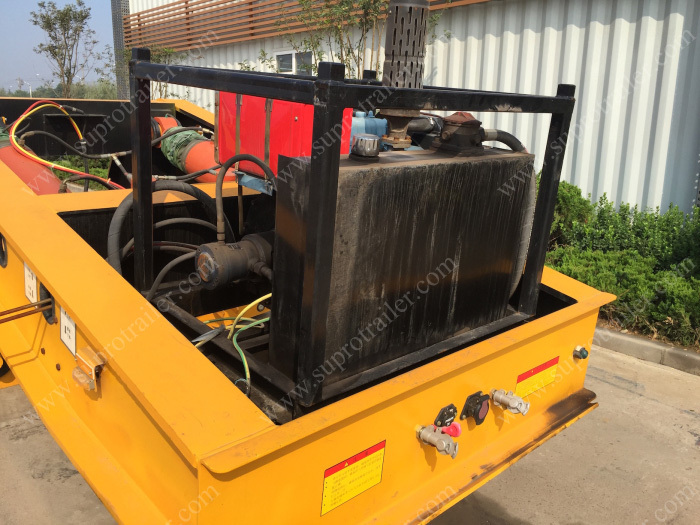 The gooseneck equip a power pack to jack up the low bed trailer after it load cargo. 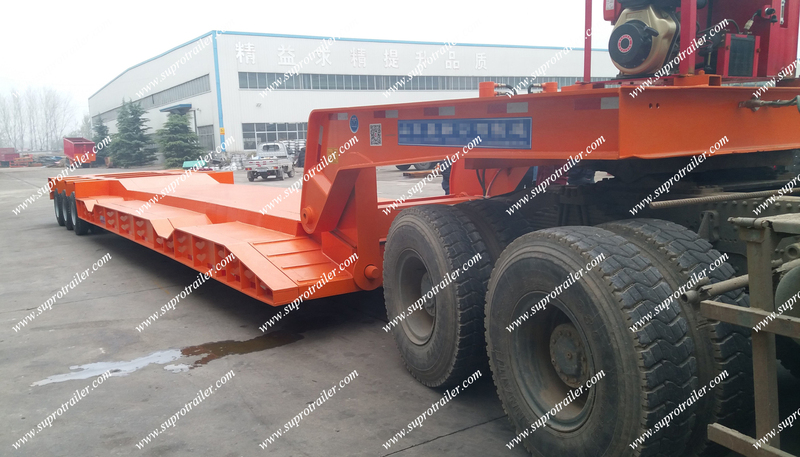 The hydraulic goosenck is fixed with the low bed trailer, but also it is folded. 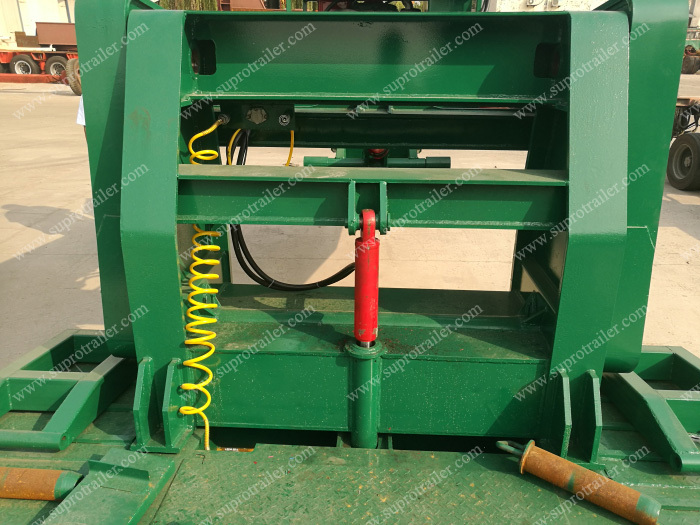 There has four cylinders among the hydraulic goosneck, and it could put the goosneck on the ground, and also it could jack up the hydraulic goosneck. 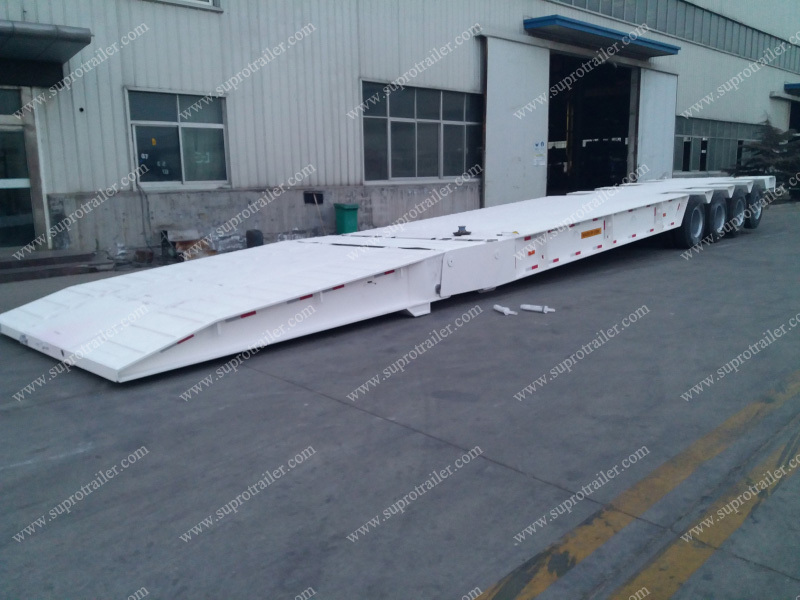 Supro Trailer design the folding gooseneck trailer to transport subway carriage. 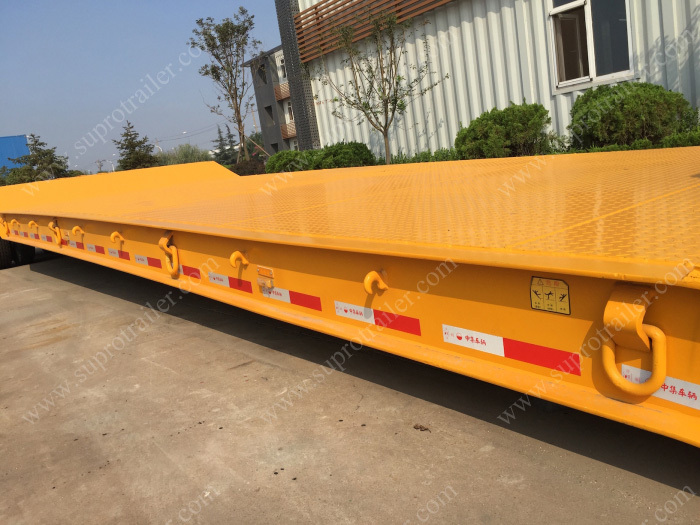 The platform of the trailer has two pieces of rails to let the train run forward to the cargo platform. 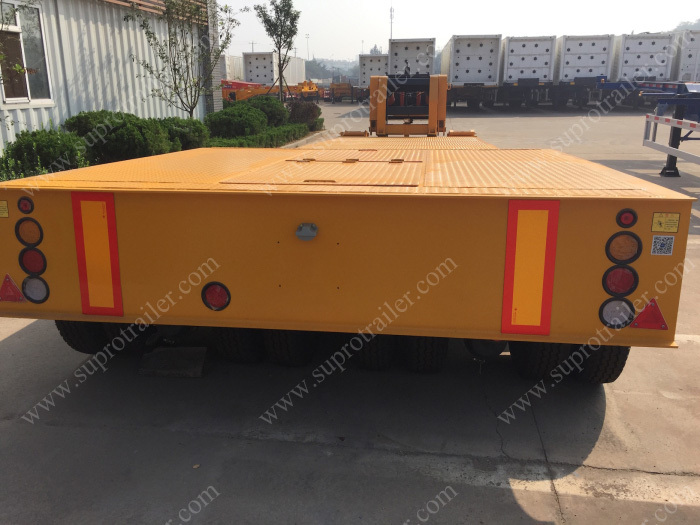 And also the cargo platform has some indepent segments to change the trailer length in order to meet the carriage length.